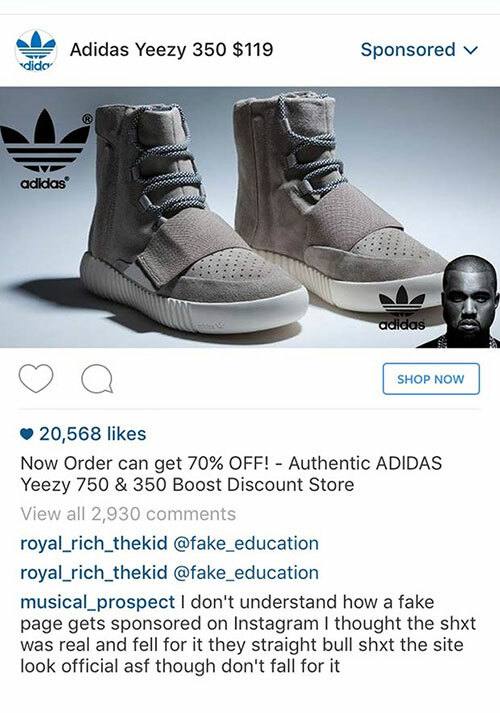 Why do Instagram and Twitter want me to buy fake Yeezys? Ads for counterfeit goods aren't allowed, but we see them anyway. It's not rare for me to come across ads for counterfeit goods, particularly as I'm browsing Instagram or Twitter. And although I don't have a Facebook account, I live with someone who does and know that's an issue there as well. Targeted advertising, the kind that knows exactly what brand of sneakers and streetwear I'm into, is the least of my worries here. My problem is the fact that Twitter and Facebook (which owns Instagram) are approving sponsored posts from retailers selling counterfeits. I know better, but there are many who may fall victim to these sorts of scams. Both Facebook and Twitter are part of the Ads Integrity Alliance and have policies in place to keep out sketchy advertisers, but that's clearly not keeping some from slipping through the cracks. Without much oversight from the social networks themselves, exercising common sense is key; if an ad sounds too good to be true, it probably is. In my case, for example, I know if I'm seeing an ad for a pair of Yeezys that cost less than their retail value, there's no way those shoes are the real deal. Not only that, but the name of the account advertising them -- something like "Adidas Yeezy 350 $119" -- is a telltale sign that the products are unauthorized. An ad for fake Adidas Yeezys on Instagram. 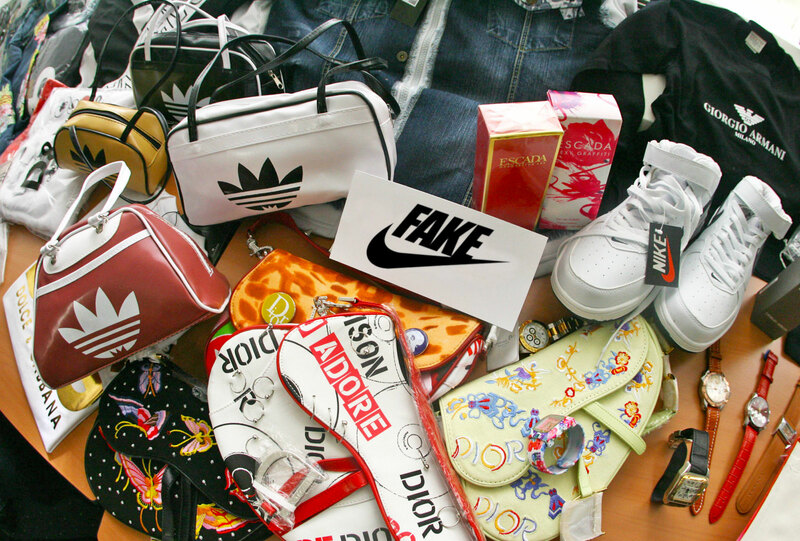 According to a report by the Organization for Economic Co-operation and Development (OECD), the global trade of counterfeit and pirated goods amounts to nearly half a trillion dollars per year, and the industry is now trying to expand to Facebook, Instagram and Twitter, which are home to a combined hundreds of millions of users. 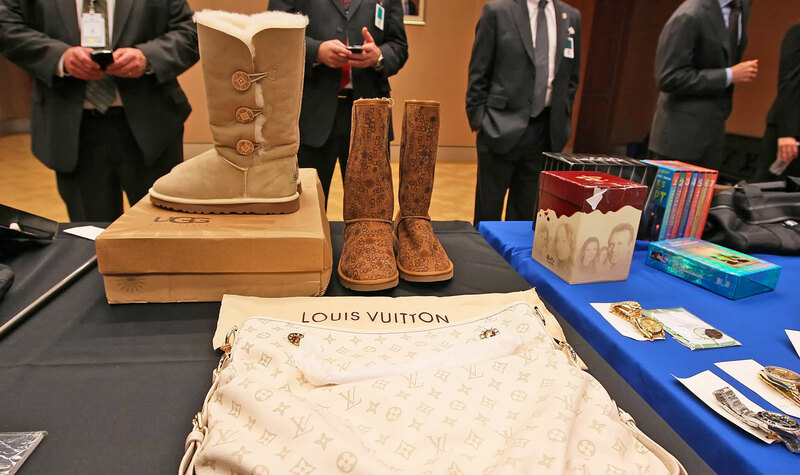 In 2015, the US Department of Justice said it would crack down on counterfeits sold online. Outgoing Attorney General Loretta Lynch said back then that her plan was to work with tech companies such as eBay on providing them with "the right analytical tools" to fight intellectual-property violations on their sites. Amazon has been grappling with this issue as well, especially as more brands find counterfeits of their products being sold there -- remember those Apple chargers? To alleviate this, Amazon recently started asking merchants for proof of legitimacy and a one-time $1,000-$1,500 listing fee before selling products from Adidas, Asics, Hasbro, Nike and Samsung. In theory, this should filter out the bad apples, but the initiative will eventually have to cover more brands (not just the major ones) if it wants to truly succeed. But until that happens, Amazon is going to keep getting sued by people who think the company is benefiting from sales of infringing products. While Facebook and Twitter don't sell fake products directly to people, they should be held accountable for allowing them to be promoted on their sites. After all, even if the approval of these ads is unintentional, social networks are still making money off them. Twitter declined to comment for this article, with a company spokesperson instead pointing toward Twitter's counterfeit-goods policy, which is as clear as it gets: "Twitter prohibits the sale or promotion of sale of counterfeit goods on the Twitter platform. 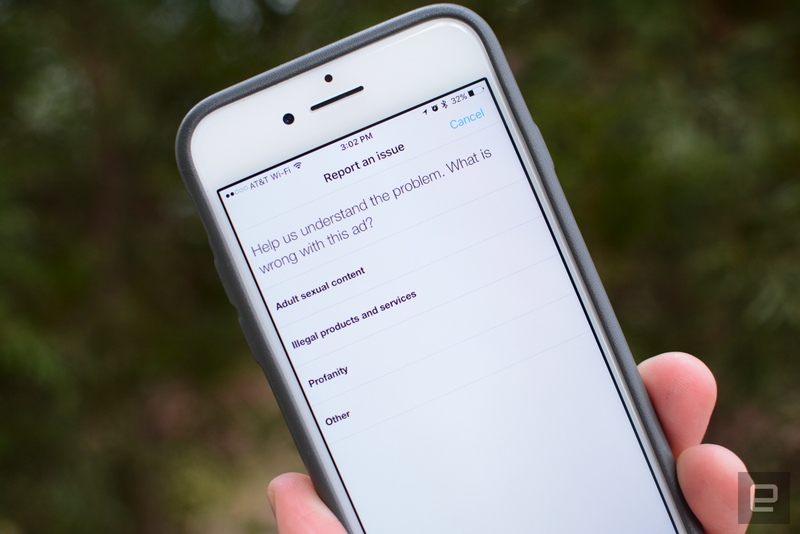 Facebook, for its part, told Engadget there are "millions" of ads that get reviewed each week, sometimes manually and others by an automated service. With counterfeits cloning almost every detail of the original product, and sellers setting up landing pages resembling established retailers or brands, it's easy to see how an algorithm (or even a human) could miss a fishy advertisement. In those cases, Facebook relies on ads being flagged by users, which are then taken down if they violate the company's advertising policies. "We do not allow counterfeit goods to be sold on Facebook or Instagram," a spokesperson said. "When we catch this type of activity, we move quickly to stop it and remove the violating account." Still, compared to the actions the company's taken against images it deemed improper for the masses, the approach to ads promoting counterfeits seems to be much less proactive. Why not act to remove them with the same sense of urgency? For Facebook and Twitter, this is yet another issue that needs to be taken more seriously. It may not be as crucial as stopping online harassment, but they should be trying harder to protect their users from getting scammed. Because as it stands, it seems to be another case of "blame it on the algorithm, not us."